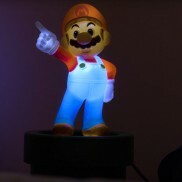 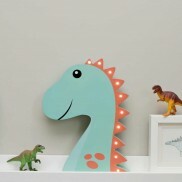 Fun and functional pendant lights, lamps and night lights for a cosy atmosphere in your child's room. 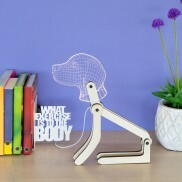 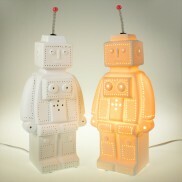 A futuristic lamp with a friendly face, this adorable Robot lamp fills your child's room with a warm, comforting glow. 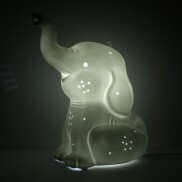 The cutest of lamps for kids rooms, this adorable baby elephant ceramic lamp shines with a comforting warm white glow. 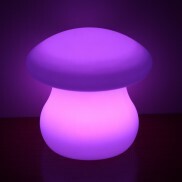 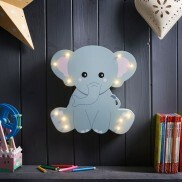 With twelve warm white LEDs, this charming little elephant room decoration adds a magical glow to kids rooms at night. 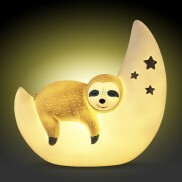 A sleepy sloth snoozes on a crescent moon to make a beautiful cosy night light. 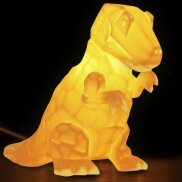 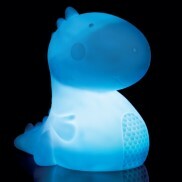 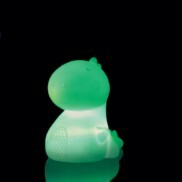 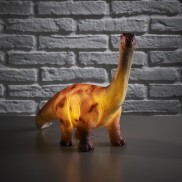 Kids will love this adorable wooden dinosaur decoration illuminated with warm white LEDs for magical fairy lit effects. 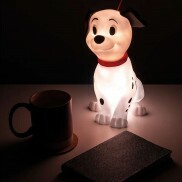 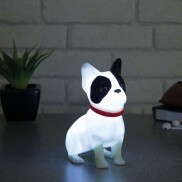 Kids will go dotty over this adorable 101 Dalmatians lamp as he shines in their room with comforting white glow. 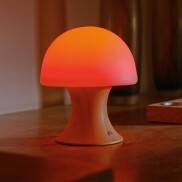 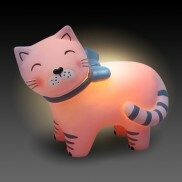 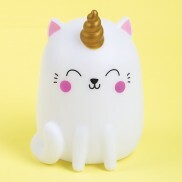 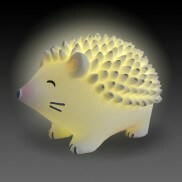 The cutest of characters to light your space, this sweet little hedgehog light shines with a warm, comforting glow. 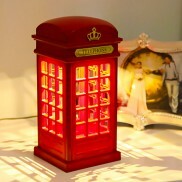 The British telephone box is becoming a thing of the past, keep the tradition alive in your home with this charming retro lamp. 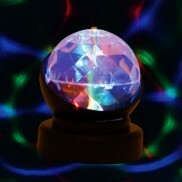 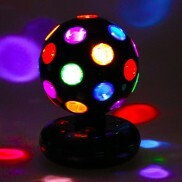 Ramp up the funk factor in your home for parties, just for fun or even for sensory play with this free standing rotating disco ball! 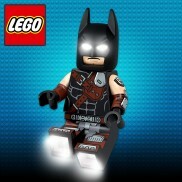 Everything is awesome about this very cool Lego Movie 2 Batman torch that lights up with three LEDs and has a sleep timer too! 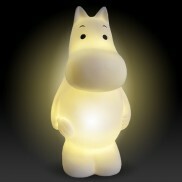 Relive the Moomins and their wonderful adventures with this charming retro Moomin lamp. 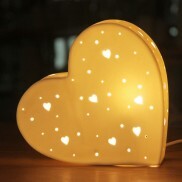 A stunning ceramic heart shaped lamp detailed with hearts and pin point cutouts to cast a soothing warm white glow. 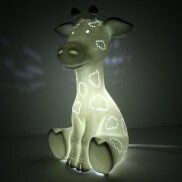 A very sweet bedside lamp for kids rooms, this adorable giraffe lamp makes the dark a friendly place. 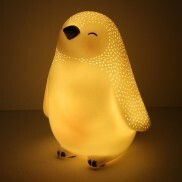 A cute and friendly face for little ones at night, this adorable penguin light is lit by warm white LEDs for a comforting glow. 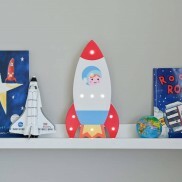 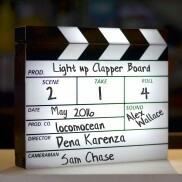 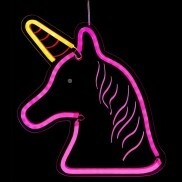 Vibrant and colourful, this light up wooden rocket decoration is lit by warm white LEDs for a magical starlight effect! 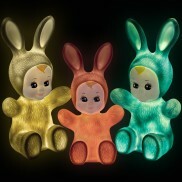 Inspired by the iconic Lapin and Me dolls, these adorable baby bunny lights add retro charm to your interiors. 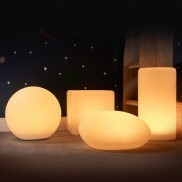 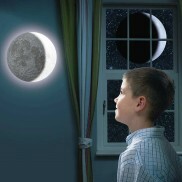 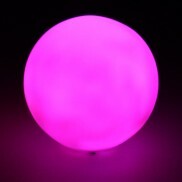 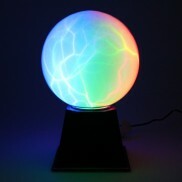 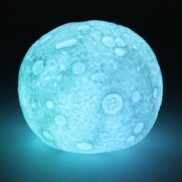 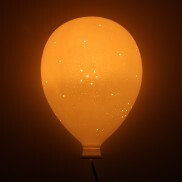 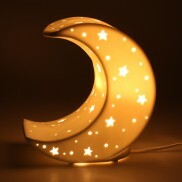 Illuminate your child's room with a gentle glow from this stunning ceramic moon lamp. 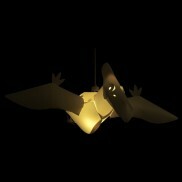 A touch of the jurassic for your child's room, the Pterodactyl dinosaur light shade is a creative way to add light and personality to your kid's room. 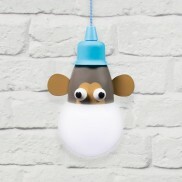 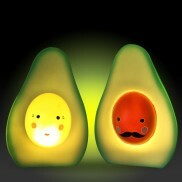 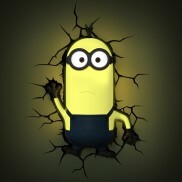 A versatile playful character light that shines with warm white light to reassure your cheeky monkeys! 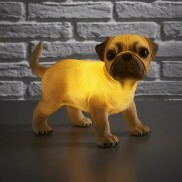 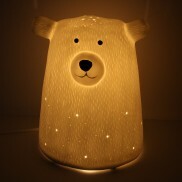 A cosy companion for bedtime, this adorable 3D ceramic bear lamp fills your child's room with a warm, comforting glow. 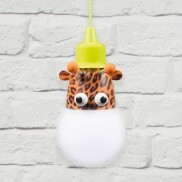 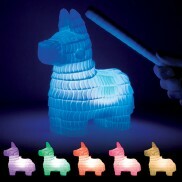 A bright and friendly kids light that can be used indoors and outdoors, this sweet giraffe shines with a warm white glow. 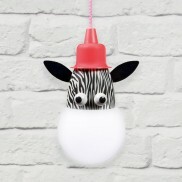 Hang this sweet zebra light anywhere in your home or garden for playful feature lighting! 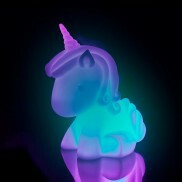 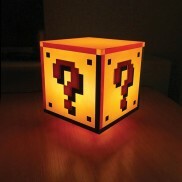 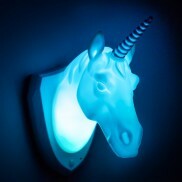 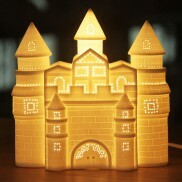 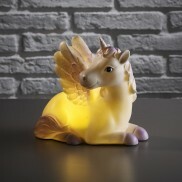 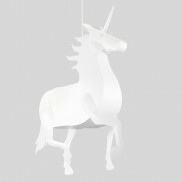 A beautiful fairytale castle lamp that will fill your child's room with a magical warm white glow. 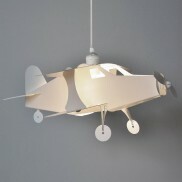 Take to the skies for decoration in your child's room with this adorable Aeroplane Pendant. 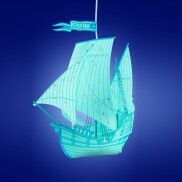 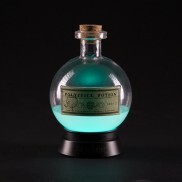 Appeal to your child's natural sense of adventure and decorate their room with the Peter Pan Blue Ship Lamp Shade. 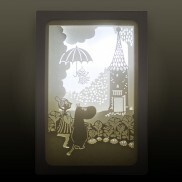 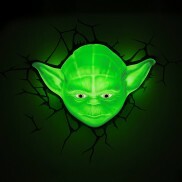 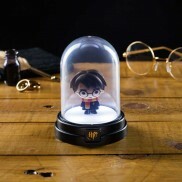 Fabulous for theming children's rooms for a wonderful fantasy feel. 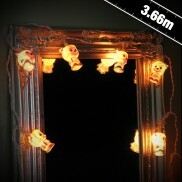 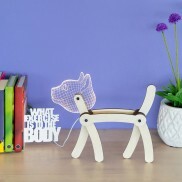 This cute Teddy Bear Lamp features a 12 volt lamp with shade for a head. 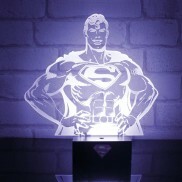 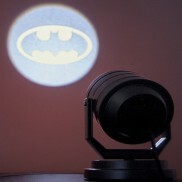 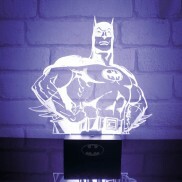 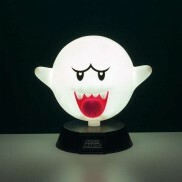 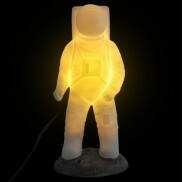 Because having a headless lamp is making a statement too. 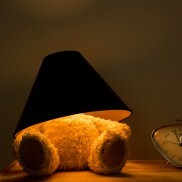 Poor little bear. 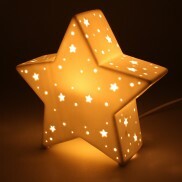 Twinkle little star... this stunning star lamp will shine all night long casting star shaped shadows and a soft glow. 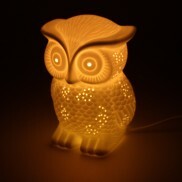 What a hoot! 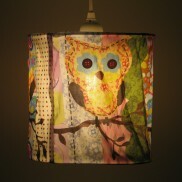 Funky ceramic owl lamp. 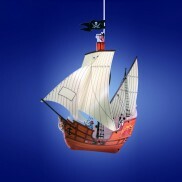 Decorate your young Buccaneers room with the fabulous Pirate Ship Lamp Shade. 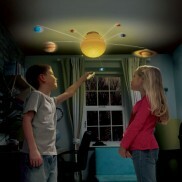 Fantastic fun, these swashbuckling cartoon pirates bring adventure to your child's room. 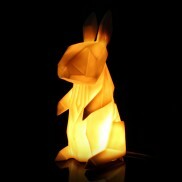 You don't have to be a kid to love these adorable origami lamps designed like woodland rabbits that shine from within. 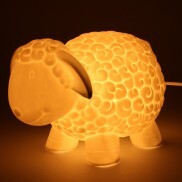 An adorable lamp for kids rooms, this 3D Ceramic Sheep Lamp shines with a warm white glow for bedtime. 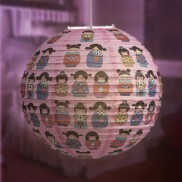 An adorable patchwork styled fabric lampshade featuring three adorable owls makes a charming finish for little girls' rooms. 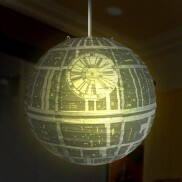 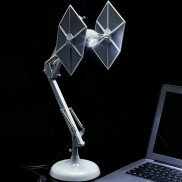 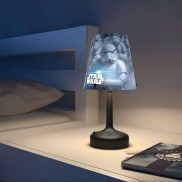 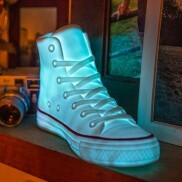 Who needs The Force when you've got this portable Stormtrooper lamp to shine light into your room? 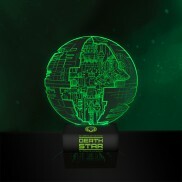 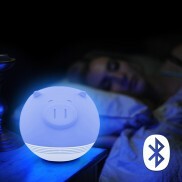 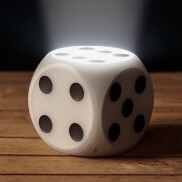 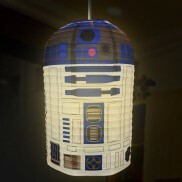 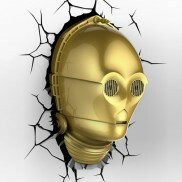 Star Wars droid R2-D2 comes to your rescue with a sweet lighting solution that Star Wars mad kids will love! 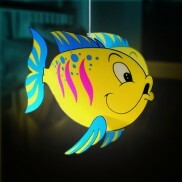 A striking suspension pendant light shade in the shape of a tropical fish with blue fins, a yellow body and pink stripe detailing. 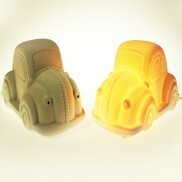 A sweet car lamp based on the retro favourite VW Beetle, this adorable lamp will fill your child's room with a cosy glow. 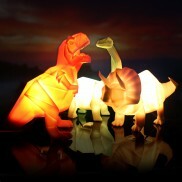 These unusual origami styled dinosaurs are lit by LEDs for a soft, atmospheric glow. 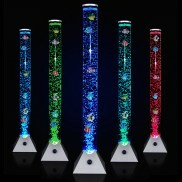 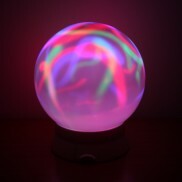 A colour morphing LED light mobile with a friendly moon and colourful clouds that look beautiful glowing in the dark. 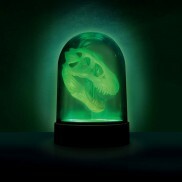 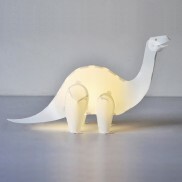 A jurassic night light lamp for dino mad kids, the Brachiosaurus shines with a warm white glow. 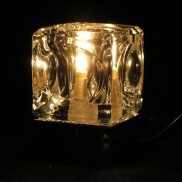 A fantastic feature during the day and striking light at night this ice cube table lamp has a touch sensitive chrome base so it's easy to switch on and off with three brightness settings. 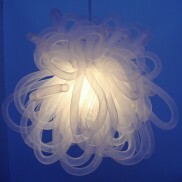 Don't tell Little Bo-Peep, but we've found her sheep, and they're illuminating this pretty stringlight. 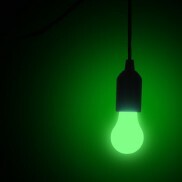 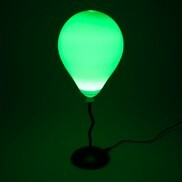 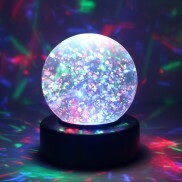 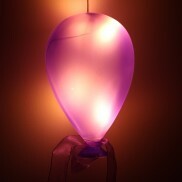 A magical floating balloon mounts onto your child's wall to give a soft, reassuring glow at night. 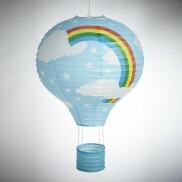 An inexpensive way to add colour and cheer to your child's room, this sweet paper hot air balloon casts a warm glow. 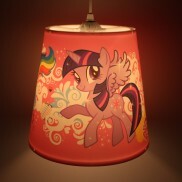 A great addition to a My Little Pony themed room, this colourful lampshade features all of your favourite characters! 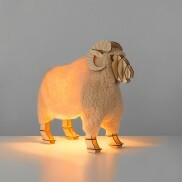 You'd be baaaaarmy not to love this unusual Ram table lamp complete with fluffy coat! 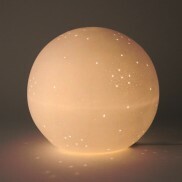 A stunning globe lamp that resembles the full moon complete will delicate detailing for a beautiful warm glow. 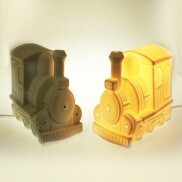 Shining with pin holes of warm white light, this stunning ceramic train lamp will be a huge hit with train mad kids! 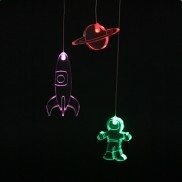 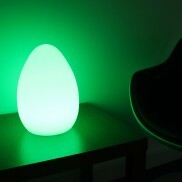 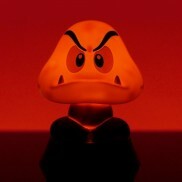 Soothe your child at night with the comfort of soft glowing light from the Spaceman Mobile. 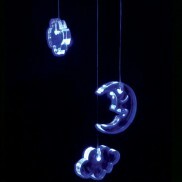 This gorgeous colour change mobile is just the thing for settling baby at bedtime, or as a night light for toddlers. 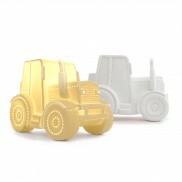 Little ones will love this sweet tractor lamp that shines with a warm white glow for cosy bedtimes.